The picture to the left was taken 45 years ago. 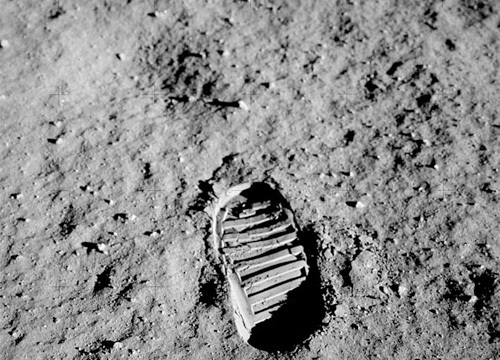 It is the remnant of one of the first foot prints to be left on the surface of the moon. Armstrong and Aldrin were wearing boots made from a special silicon rubber developed by GE. 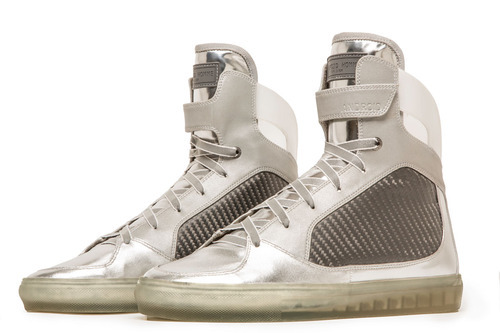 To commemorate this event, GE decided to make 100 pairs of a moon boot sneaker called The Missions, and they will sell for $196.90 a pair. •	We are called to follow the example of Jesus and walk in love (Ephesians 5:2). •	We are to follow in the footsteps of the faith of Abraham (Romans 4:12). •	We are to walk by faith, not by sight (2 Corinthians 5:7). •	We are to walk as children of light (Ephesians 5:8). •	We are to walk worthy of the Lord, fully pleasing to Him, bearing fruit in every good work and growing in the knowledge of God (Colossians 1:10). •	Paul issued a warning to those who walked in a disorderly manner, not working at all, but were busybodies (I Thessalonians 3:11).